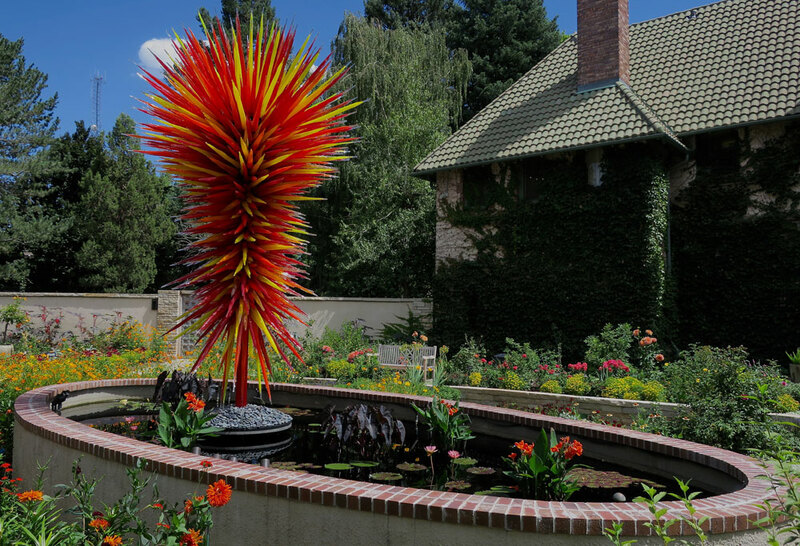 Since the summer of 1973, visitors have enjoyed an extensive waterway that runs throughout Denver Botanic Gardens’ property. 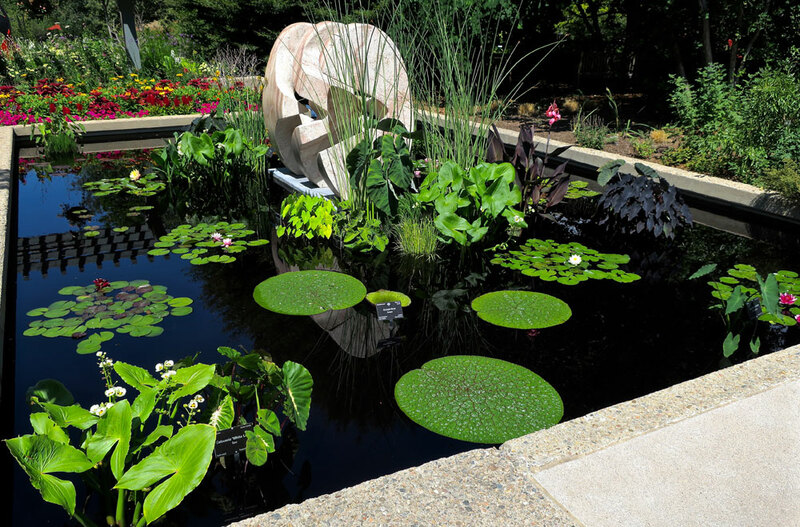 This abundance of water allows for numerous opportunities to display aquatic plants from as far north as Alaska to as far south as South America and Africa. 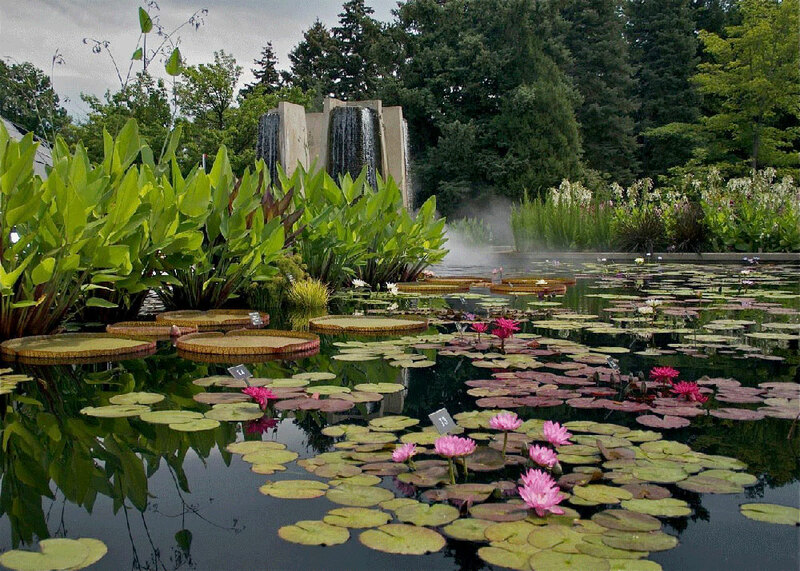 The summer displays at the Gardens, which include more than 500 waterlilies and 1,000 aquatic plants, focus attention on the enduring power of water gardens, especially in a steppe climate. 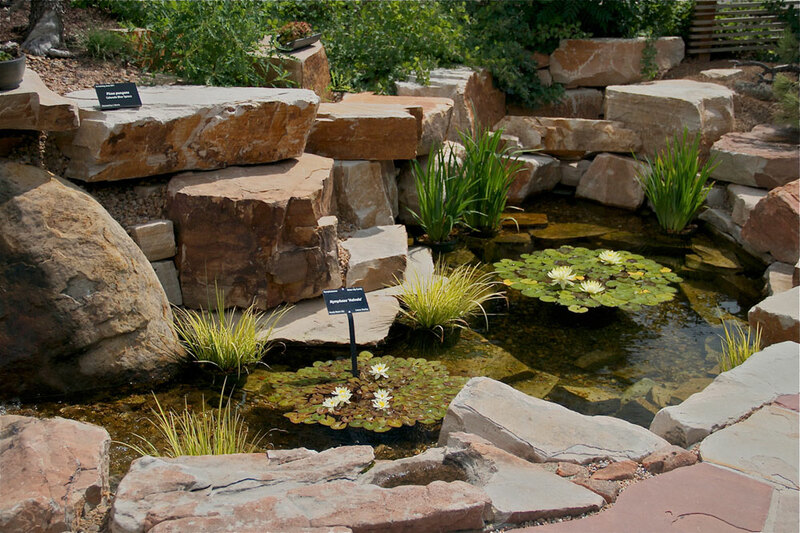 In 1987, 1997 and 2014, Denver Botanic Gardens and the Colorado Water Gardening Society co-hosted the International Waterlily and Water Gardening Society’s annual symposium. 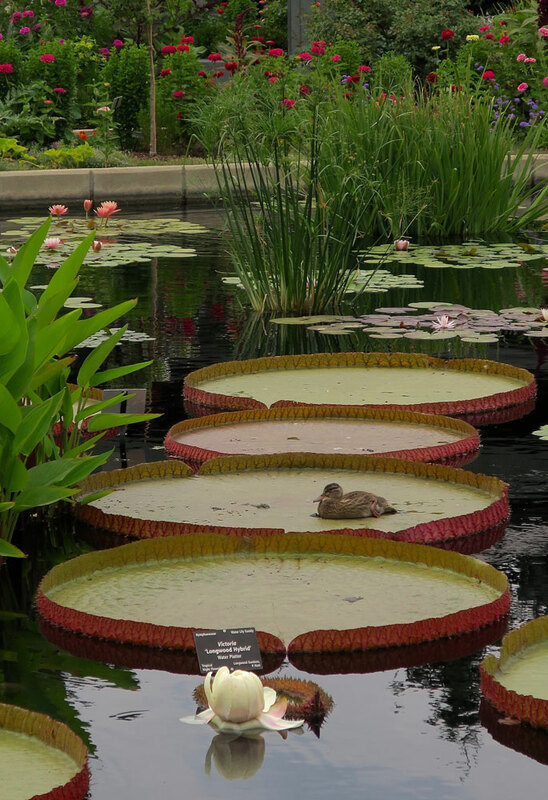 The first IWGS New Waterlily Competition was hosted at the Gardens at the 1997 symposium and subsequent competitions were hosted here from 2012 to 2015. 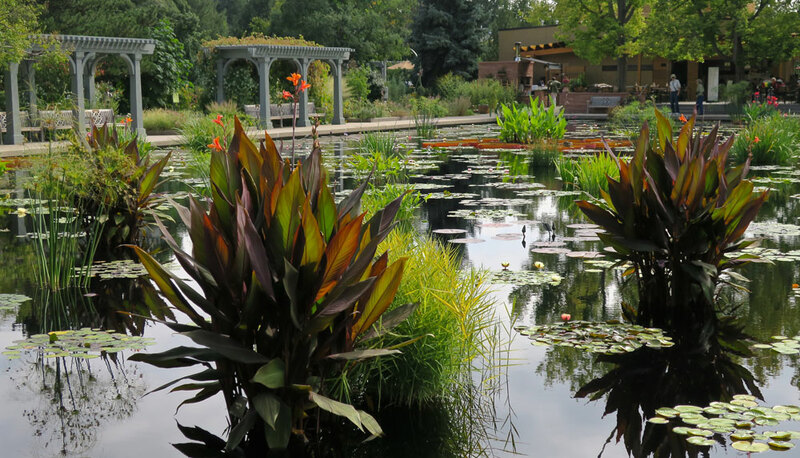 Waterlilies that the Gardens has named and helped introduce (such as Nymphaea ‘Colorado’ and N. ‘Joey Tomocik’) have received international recognition for their excellence.